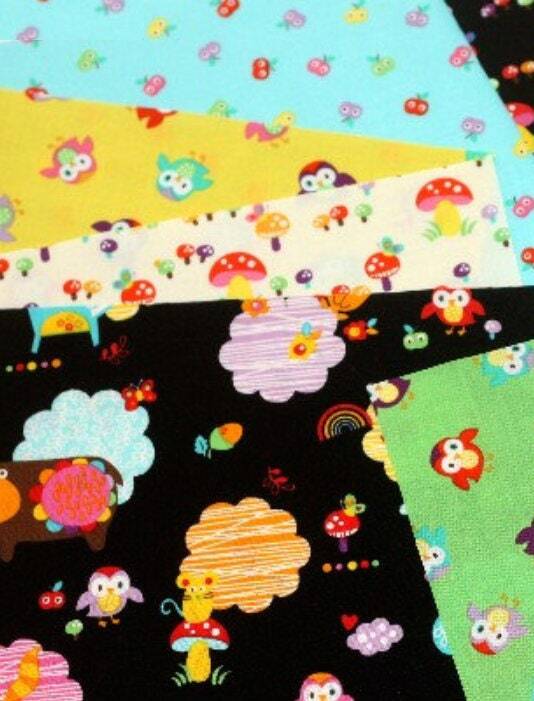 Momo by Alice Kennedy for Timeless Treasures Textile Co. 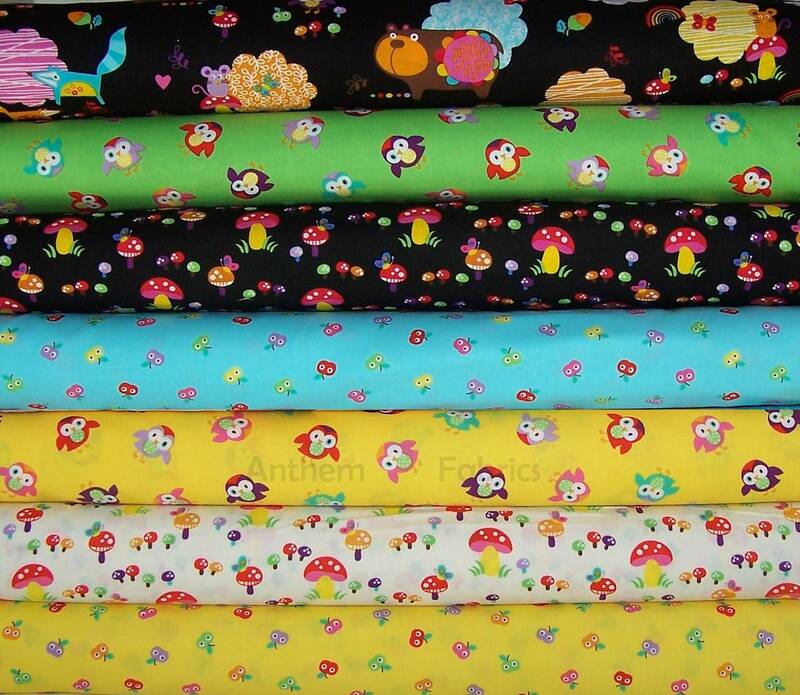 Bright happy fabrics for a baby nursery. 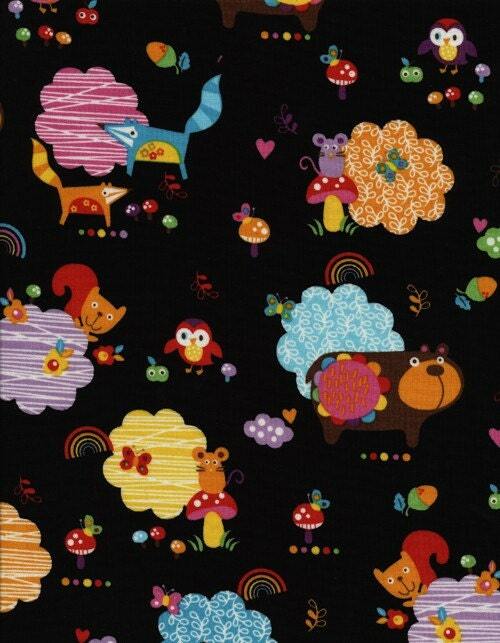 Cute patterns of mushrooms, apples and animals. 7 fat quarter cuts. Each 18"L x 22"W (metric: 46cm x 56cm). About 1.75 yards of material. Contact us if you would like to buy more.